We've always needed to validate our customers before giving out details of there account. what is the solution to this problem? This problem only occurs on three mobiles from three, not on Aldi Medion or on Google phones? Please post the full solution (three moderator solution) to the forum. Have you tried turning off Location services on the phone? Since I did that on mine (along with switching to GSM only) I haven't received any spurious charges. It's still not ideal as I preferred having it turned on but I guess it's better than shelling out €2 daily. The thing I don't get is that Three analyzes how their customers use their phones and have no problem ringing up saying "I see you call ABC fairly often, how would you like to switch to XYZ plan?" It was plainly obvious from the amounts of data going out (less than 1kb in most instances) that it was accidental usage - turning mobile data on results in a multiple of that from stuff syncing and that's before you do anything like check emails, browse the internet etc. - yet they were content for €2 to be leaving my account every day for nothing. It would be different if there was data in the tens or hundreds of MB, but less than 1kb? Come on. And yet all I kept getting in response was "It's a phone issue." and no further information. No effort to help me clarify what might be causing it, why it was happening me and not others... Entirely left to me to try and research what the problem might be (at a lot of cost I might add, as the only way to test whether data was sending or receiving was to get charged for it), and had I not, I'd still be in the same position. So through trial and error I finally stumbled across turning off Location services along with switching to GSM stopped the charges. It's not just a phone issue or just a Three issue but rather a combination of both, along with Android. It can't be a phone issue given that you have a Huawei and I have a Sony. A lot of people have the same phones on a different network with no issues. Yet there are other people on Three with the same phone but an older version of Android that don't have it. And from my looking into the issue there are people from other countries (Germany, USA etc.) that have the same issue but are obviously not on Three. But these networks must all have something in common with the way they utilise data. To stop this from happening there should be a daily allowance of 50kb - not enough to do anything, but enough to take into account any errant data use. Having a flat charge of €2 whether it's 0.01kb or 200mb is ludicrous. The issue went on for the bulk of 2 months and cost me nearly €100, and would still be costing me now had I not done something about it. That isn't a lot to ask for. I've been a loyal customer of this network for almost 15 years, since back when it was Esat Digifone(! ), yet that didn't seem to count for much. I've already made a detailed post about this above, yet I still see the same stock answers getting trotted out for what is obviously the same issue. It's disappointing. also is that three know the solution and ship the phone with this bug. have noticed these unjust charges. Hi Gary, the €2 is our daily rate when you have no active bundle. You will only be charged for data when mobile data is switched on on the phone. If data is left on the phone itself uses it to update and apps that run in the background also use it. What type of phone do you have? Do you have WiFi assist on the phone? 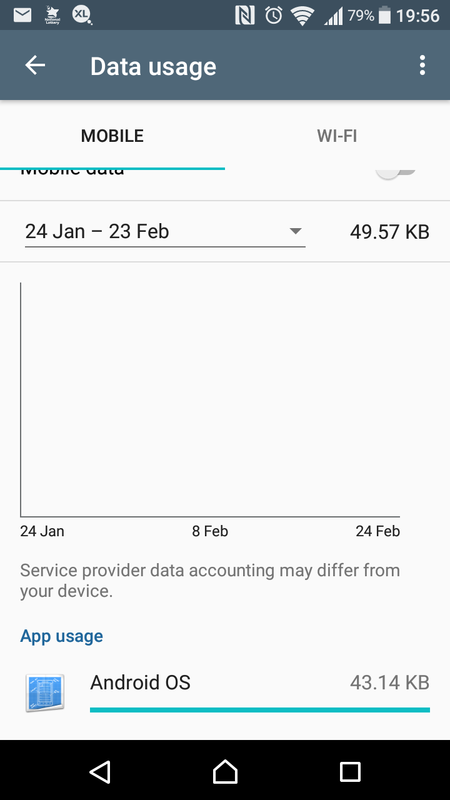 @Martin I noticed the same issue few weeks ago when I didn't have data addon. Several times I was charges 2EUR for something about 20kb and once even when I had my BeFree Internet addon still active I was charged 2EUR (05/03/2018). How do I prevent this from happening? network apps which is ridiculous. Not a solution or a workaround. Hi @jmusilova88, PM me your number, address, name and DOB? I'll check this out. I have read the other post on this topic and have the same problem. I have contacted 3 on many occassions with the exact same results as the others. They say it is my fault. Again they say the the background apps are the problem but exactley as the others say I have turned off all these background updates. I rarely turn on mobile data- maybe once a month but i keep getting these spurious data charges for €2. The last time i "chated" to a 3 person he said he would have the matter raise with the technical team and let me know the answer. I await result. This is unacceptable trading practice and i expect to be be compensated. Again the rudnes or maybe incompetence of your people is unacceptable. Please tell them not to ask if there is anything they can help me with since they have not helped me at all. If I do not have a solution by Mon 8th I will be contacting Comreg. Hi @Rose I'll certainly look into this for you. Can you send a PM with your mobile number, name, address and date of birth please?